Five external and three internal candidates are being considered. 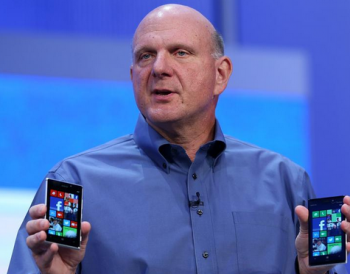 Microsoft's Steve Ballmer is about to head off to pastures new, but his replacement has yet to be chosen. Microsoft has narrowed the pool down to eight names, five external and three internal, but the process could still take months to complete. Not all the candidates have been named, and Microsoft has yet to comment on its choices. Ballmer promised to retire within 12 months, when the announcement was made back in August, so there's still a bit of leeway on that self-appointed deadline. Tony Bates and Satya Nadella are among the internal candidates being considered. Nadella is executive VP of the Cloud and Enterprise group, and has been a Microsoft employee since 1992; previously, he was with Sun Microsystems as a technology staffer. During his time at Microsoft, Nadella led the change from client-server software to cloud infrastructure. Bates is a Londoner, a self-taught programmer and the former boss of Skype; he joined when Microsoft bought out Skype in 2011. He's currently executive VP responsible for Business Development, Strategy and Evangelism. Only two of the external candidates have been named: Alan Mulally of Ford and Stephen Elop, formerly of Nokia. Mulally, at 68, is a much older candidate; older than Ballmer himself, in fact, by more than a decade. He's currently CEO at Ford, where he's been since 2006. He skipped Boeing to take the Ford job, when Boeing rejected him as an internal candidate for the then-vacant CEO role. Canadian Elop presided over Nokia from 2010, the first non-Finnish director of the company. Before joining Nokia, Elop had been Microsoft's Business Division head, and it was thought at the time that Elop - whose passion for Windows Phone was a significant part of the Nokia restructure - might be a Trojan Horse for a Microsoft acquisition of Nokia. Eventually, after slumping sales and reduced market share, Microsoft did buy Nokia in 2013. Elop is an external candidate in name only; as part of the buyout, he's due to become Microsoft's executive VP, Devices and Services, once the dust settles. Wondering if Bill Gates will return? It seems unlikely at the moment; Gates is more interested in philanthropy these days. Some investors have been asking Gates to resign as Chairman of the company, and while that hasn't happened yet, there's always a chance it might.